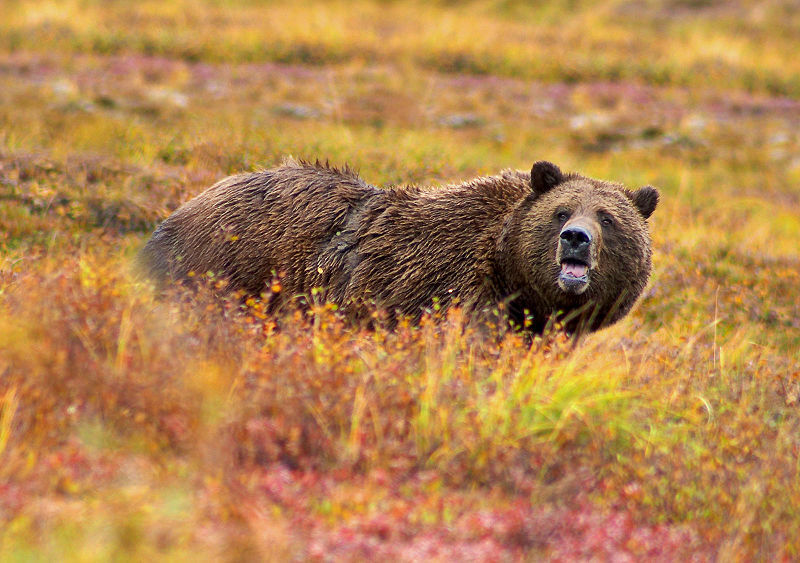 Grizzly Bear in Denali National Park. Photo by Jean-Pierre Lavoie, Wikimedia Commons. Summer always feels like a dry spell for classical music in Alaska. The symphonies, the opera, the choirs all take summers off, and it’s no wonder. Desperate for vitamin D, with the precious warm season beckoning, most Alaskans, musicians included, are off fishing, hiking, or boating this time of year. After nine months of brutal winter, what Alaskan would reject sunshine for a windowless studio to practice arpeggios? The Alaska summer may not rouse one to rehearsal, but maybe it can inspire composition. After all, some of the greatest classical music is inspired by the natural world. Think Beethoven’s Pastoral Symphony, Copland’s Appalachian Spring, Hovhaness’s Mount Saint Helens Symphony. Closer to home, this spring Anchorage hosted premieres of two new classical works about Alaska — Libby Larsen’s Alaska Spring, and Victoria Fraser’s Alaska — both choral settings of nature poetry. So I was excited to learn about a brand-new, eight-day composers’ workshop in Alaska this summer, sponsored by Alaska Geographic and the Fairbanks Summer Arts Festival, and led by composer Stephen Lias. This workshop actually seems really awesome. For the first several days, participants camp out near the Teklanika River in Denali National Park at the Murie Science and Learning Center Field Camp, studying sound and nature, and writing an original chamber piece. Imagine lolling in the sun-drenched tundra on a hill above the glacier-fed Teklanika, pencil and staff paper in hand, listening to the song of an orange-crowned warbler, with a view of a grizzly bear hunting baby moose on the river bar below you. Now that would inspire composition. After four days, the group heads to Fairbanks to work with the arts festival faculty to perform their new pieces. Composition, rehearsal, and performance all in one week — sounds intense! The course runs July 20 to 27, 2012, and the cost is $750, which includes all lodging in Denali and Fairbanks, plus all meals in Denali. The workshop is already sold out, but they’re taking names for a waiting list. If you can’t get in this year, consider at least attending the Alaska premiere of Stephen Lias’s Denali for string orchestra, which the composer wrote after spending a week in the national park last year. 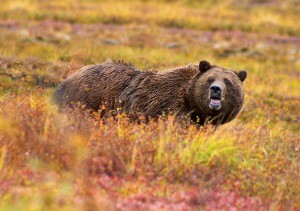 The concert is on July 21, 2012 at 7:00 pm at the Denali Visitor Center. Hopefully the classrooms are windowless, so you don’t feel too bad about missing the Alaska summer.